The talented team at Cheeky Faces have been providing private parties, events, corporate clients, fairs and councils with delighted kids and parents for over 4 years! Our exceptional service is coupled with an easy booking process and competitive fees. Cheeky Faces provides the very best face painters Melbourne. Looking for face painters Melbourne? Look no further! With our extensive history providing face painters Melbourne, we know that it can be daunting finding the right person for the job. We offer you to phone us or write to us and begin speaking directly to the lovely face painting fairy that will be working with your little ones. We have made the booking process a breeze too. 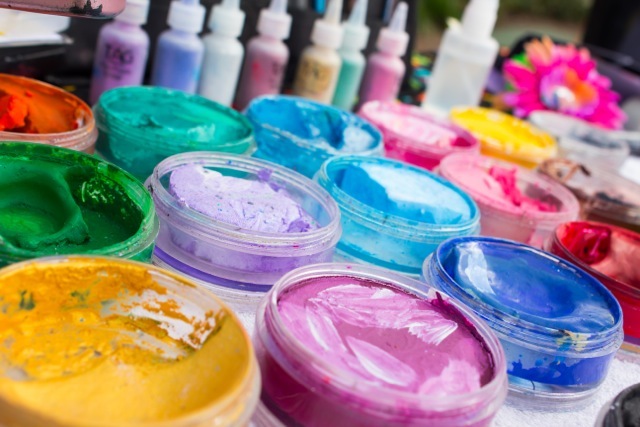 Simply get in touch with Cheeky Faces to book your face painters Melbourne today! Cheeky Faces Face Painters Melbourne dress the part. We know that making the process as special as possible is what leads to a happy customer! Kids and parents alike always love having a beautiful face painting fairy doing the job. 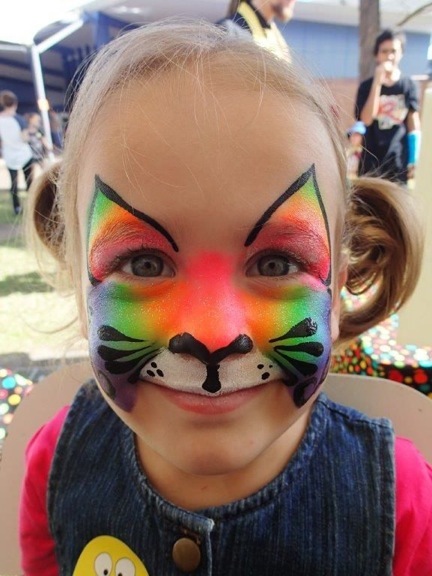 Face Painters Melbourne is what we provide, but the kids see it as a gorgeous magical fairy that transforms them into their favourite animal, character or makes them look the prettiest they have ever been. 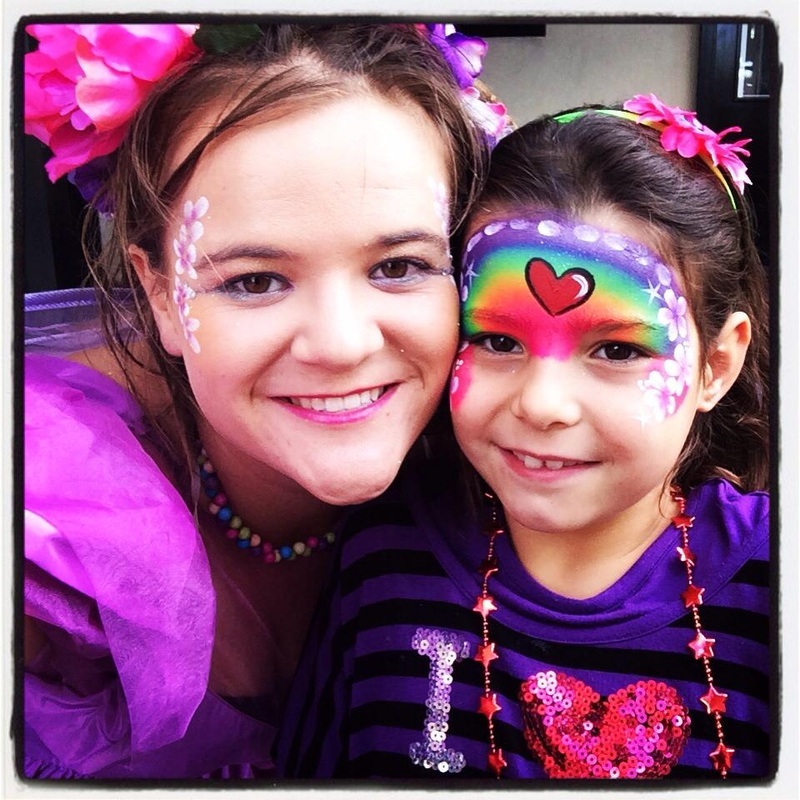 Get in touch today with Cheeky Faces Face Painters Melbourne to have a face painting fairy weave her fairy magic at your children's event! Happy little people (and sometimes big kids!) love to get their face painted by the Cheeky Fairy that is the star of our Face Painters Melbourne! Nothing beats that happy smile that stretches across their face when they see how cool or beautiful they look after the Cheeky Faces Fairy of Face Painters Melbourne has done her job! Just look at the grand smile on the little princess next to our very own Cheeky Fairy! We can't wait to visit you and do the same to your child and all of their cheeky playmates! Contact Ciara from Cheeky Faces to get the Cheeky Faces Fairy out to your event and get ready to see that same smile stretch across your little ones face... and yours. When it comes to Face Painters Melbourne, it doesn't have to be the Cheeky Faces Fairy, we have many options to choose from! We can dress our Face Painters Melbourne in other costumes that more appropriately suit your event, just let us know and we will discuss the best options with you! Face Painters Melbourne are amazing, and so are their prices! We offer great value for money with our Face Painters Melbourne because we love what we do here at Cheeky Faces. We offer our service for $99 per hour with a minimum call out of 2 hours. If your event is further out of the city or you wish to book us for a larger event then get in touch to discuss our fee for service and we will help you decide on the best way we can help make those cheeky smiles grow! Get in touch with our Face Painters Melbourne from Cheeky Faces today to book your face painting needs with us!